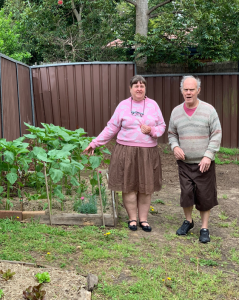 Inseparable couple, Sandra and Darren Munro, are busy with a wide range of activities, run by SCS and covered by the NDIS ( see details here ) . 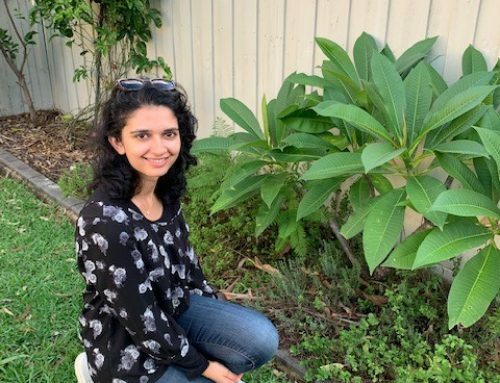 They both come every Thursday for several community social support activities in the common room in their social housing complex at Pittwater Rd, Gladesville. Thursday activities include art classes, held three weeks a month. On the last week of the month, other activities including games such as cards, dominoes or bingo are played. The art classes introduced Sandra to SCS’s Annual Art Expo where she has exhibited a few times. 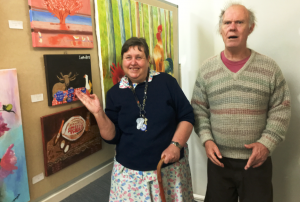 Last year at the Art Expo at Gladesville Shopping village, she exhibited three paintings and sold one, titled ‘Moose and the Goose’, after a children’s story. 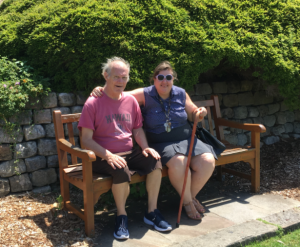 Gardening is a bi-monthly activity, assisted by SCS gardening team leader Linda Thompson. 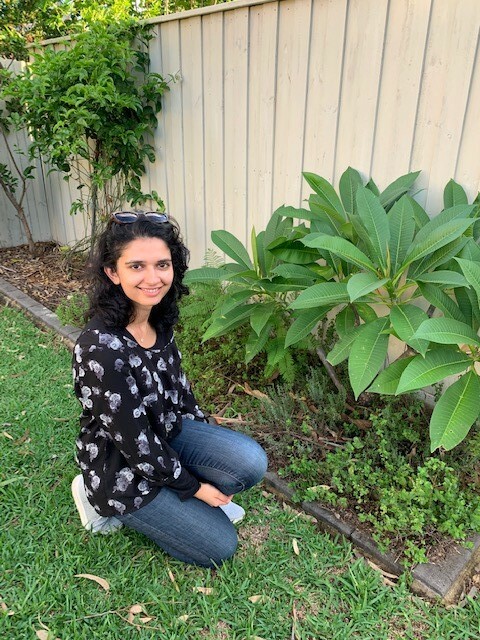 Sandra is proud to have her own garden in the complex – where she grows tomatoes and many small flowers in plots labelled ‘Sandra’s flower garden’ and ‘Sandra’s vegetable garden’. The couple also look forward to weekly outings with an SCS staff member. They love to choose the next destination or activity. It might be a visit to the city to check out Lunar New Year decorations or sculptures at Barangaroo, a ferry trip, or entertainment such as bowling or a movie. “I think we are going to an art gallery next,” says Sandra. Darren and Sandra also rely on fortnightly shopping assistance from Jane, which is co-ordinated by SCS.